Many of the most popular 2017 makes and models have undergone both Insurance Institute for Highway Safety (IIHS) and National Highway Traffic Safety Administration (NHTSA) testing. 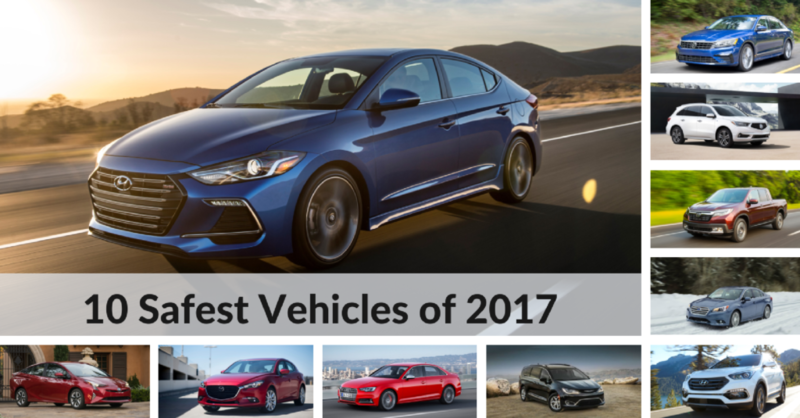 While more models will undergo IIHS and NHTSA testing and are pending results, we’ve identified 10 of the safest tested 2017s on the road. To determine our 10 selections, we looked at the overall ratings given to each vehicle by the IIHS and NHTSA and based picks on receiving IIHS Top Safety Pick honors or above and 5-Star Overall ratings. We then looked at the IIHS front crash prevention, headlights, and LATCH ease of use scores, as well as the additional safety features offered that are not necessarily rated, but add value in terms of safety for the driver and passengers. 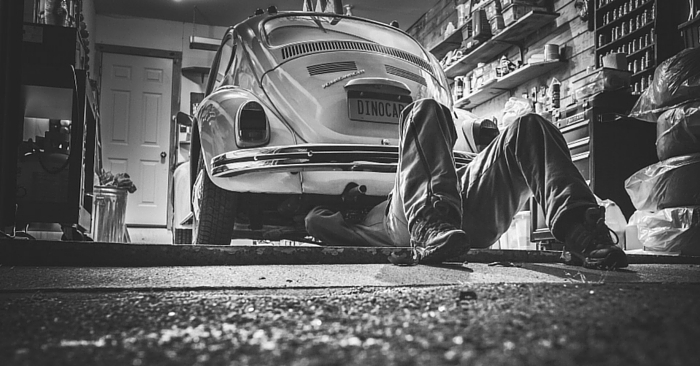 For more information about IIHS and NHSTA ratings, you can read up on them here. 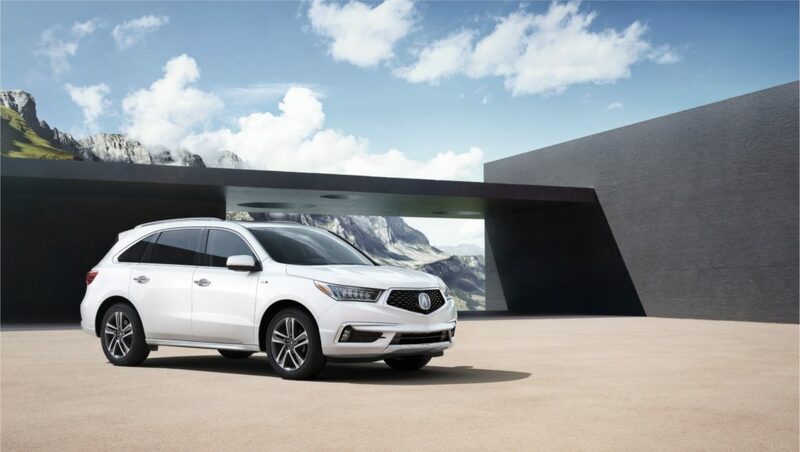 Not only has the Acura MDX built a reputation for performance, reliability, and value, but it has also become one of the safest SUVs on the road. With a standard rearview camera, forward collision warning, lane departure warning, and collision mitigation braking system, the 2017 Acura MDX is well-equipped and performed in both IIHS and NHTSA crash tests. Additionally, it was rated Superior for IIHS front crash prevention standards and Acceptable for headlights and LATCH ease of use. 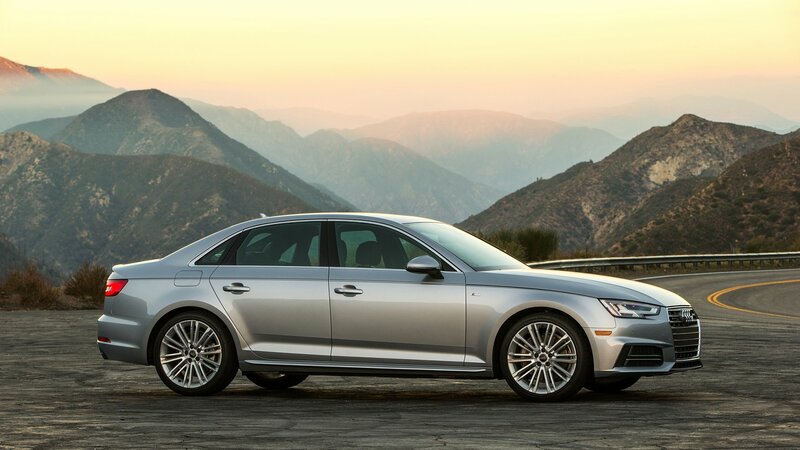 Taking top scores in every IIHS crash test and a 5-Star overall NHTSA rating, the 2017 Audi A4 has a lot to offer. The standard Audi PreSense front crash prevention system with automatic braking capabilities helped earn 5 total points in IIHS Front Crash Prevention scores for the A4, and 6 total points with optional equipment. A rearview camera comes standard, and an available Driver Assistance package includes features like lane departure warning. The A4 is also a family car, scoring Good in IIHS LATCH ease of use and Acceptable IIHS headlights rating for night driving. 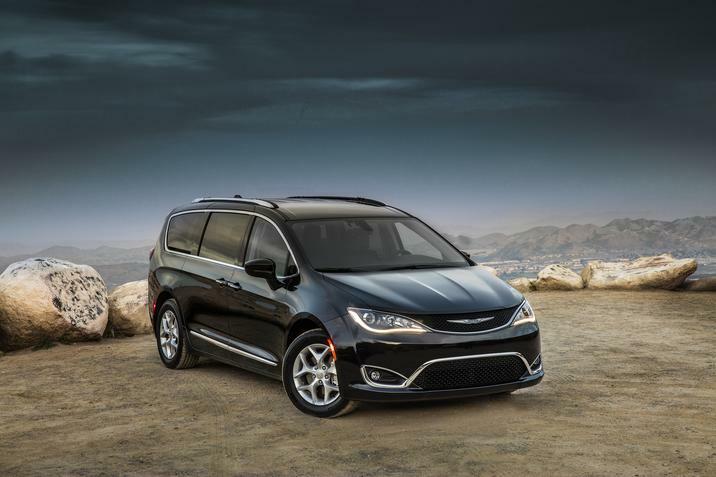 2017 Chrysler Pacifica models built after August of 2016 improved IIHS testing scores enough to take Top Safety Pick+ honors. The improvements also boosted IIHS LATCH ease of use scores from Poor to Marginal, and maintained an Acceptable headlights rating. With the aid of optional forward collision warning and automatic braking, the Pacifica receives Superior front crash prevention scores. It has an overall NHTSA rating of 5-Stars and comes standard with rollover sensor, head curtain airbags for all three rows, side-mounted torso airbags, and driver and front passenger knee airbags. Available features include 360 surround view camera, rear park assist and braking, adaptive cruise control, lane departure warning with lane keep assist, and blind spot monitoring system. 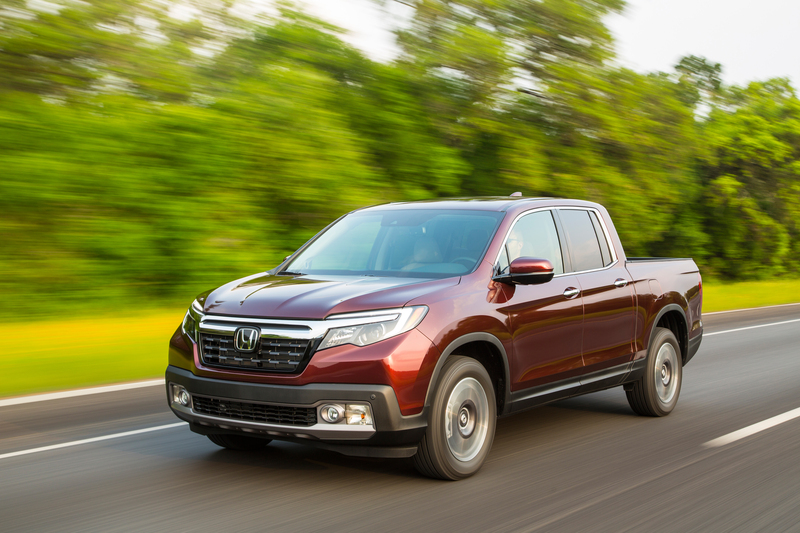 The 2017 Honda Ridgeline pickup truck has undoubtedly benefited from its unique (for a truck) unibody construction. 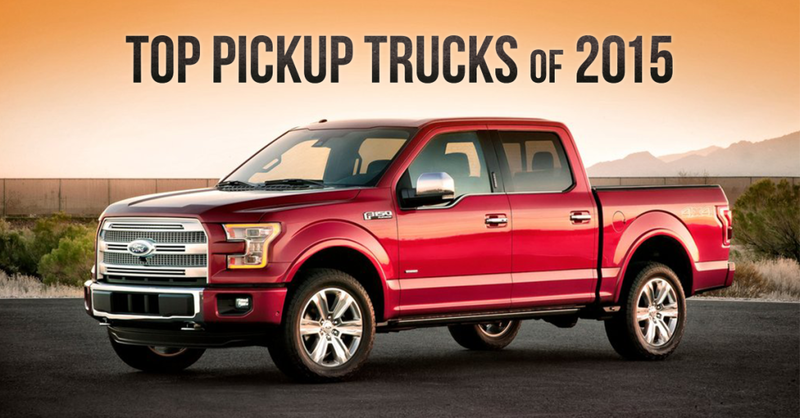 In terms of safety, it is one of the safest trucks on the road. Bringing in an IIHS Top Safety Pick+ award and NHTSA overall rating of 5-Stars, it also seized Superior IIHS Front Crash Prevention recognition thanks to the available Honda Sensing Package and collision mitigation braking system. It scored an IIHS headlights rating of Good, one of only seven vehicles to score Good in 2017 IIHS headlight evaluations. That, in addition to an Acceptable rating for LATCH ease of use, make the 2017 Honda Ridgeline a safe, smooth ride for parents and truck lovers alike. The 2017 Hyundai Elantra was awarded 2016 IIHS Top Safety Pick+ honors and 2017 IIHS Top Safety Pick+ for Elantras built after March 2016. 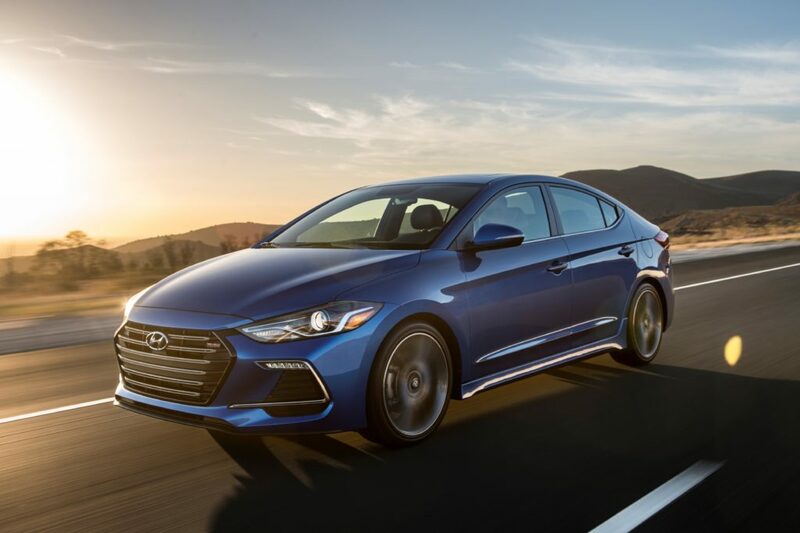 The 2017 Elantra also received an overall NHTSA 5-Star safety rating, as well as Good headlight rating and Acceptable LATCH rating from the IIHS. The Elantra was docked points in the LATCH ease of use rating because the lower anchors are considered too deep in the seat to connect easily, but scored Acceptable. Advanced available safety features include adaptive cruise control, adaptive headlights and automatic high beams, forward collision warning and mitigation, and lane departure warning and mitigation. Other great features include rollover sensors, designed to deploy the side curtain airbags in the event of a rollover and driver knee airbag. The IIHS awarded both the 2017 Hyundai Santa Fe and the 2017 Santa Fe Sport 2017 Top Safety Pick+ honors, both with near perfect test ratings. The Santa Fe is another one of only seven other vehicles to receive a Good IIHS headlight rating, and scored an Acceptable LATCH ease of use rating. The Santa Fe three-row has not undergone NHTSA testing, but the two-row Sport scored an overall 5-Star safety rating. Like the aforementioned Elantra, standard safety equipment for the Santa Fe and Santa Fe Sport include roof-mounted side-curtain airbags with rollover sensors and driver’s knee airbag. Available safety features include blind spot detection, rear cross-traffic alert, lane departure warning and lane change assist, and smart cruise control. Combining style with value, performance, and great safety ratings makes for an almost perfect car. Mazda got the 2017 Mazda Mazda3 right, adding a standard review camera and designed the interior and ride to take fatigue out of driving. 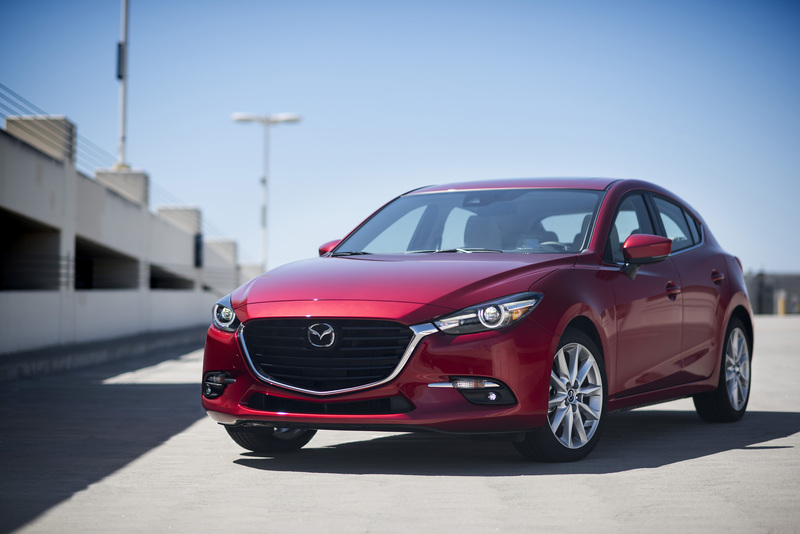 What sets the Mazda3 apart from many sedans is its pep and performance, and while not always tangible in safety testing, builds confidence on the road. Earning both the IIHS and NHTSA top honors with the help of Mazda’s i-ACTIVSENSE technology, the Mazda3 comes with available automatic high beams and adaptive front-lighting, rear cross traffic alert, lane departure warning and lane keep assist, blind spot monitoring and warning, pedestrian brake support, and smart cruise control. With 37 mpg highway, it’s not just good for you, but better for the environment as well. The 2017 Toyota Prius just may be the ultimate small family car. 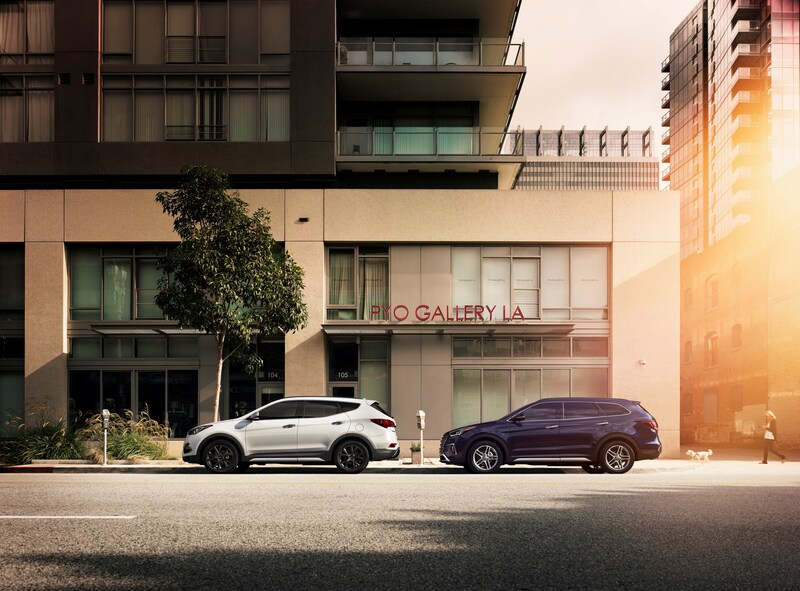 It combines technology and fuel economy for long road trips, and Toyota Safety Sense comes standard with every variation of the Prius model. Safety features include pre-collision system with pedestrian detection, lane departure alert, and automatic high beams. The 2017 Toyota Prius V also scored IIHS Top Safety Pick+ honors, and is among the seven 2017 models with a Good IIHS headlights rating. 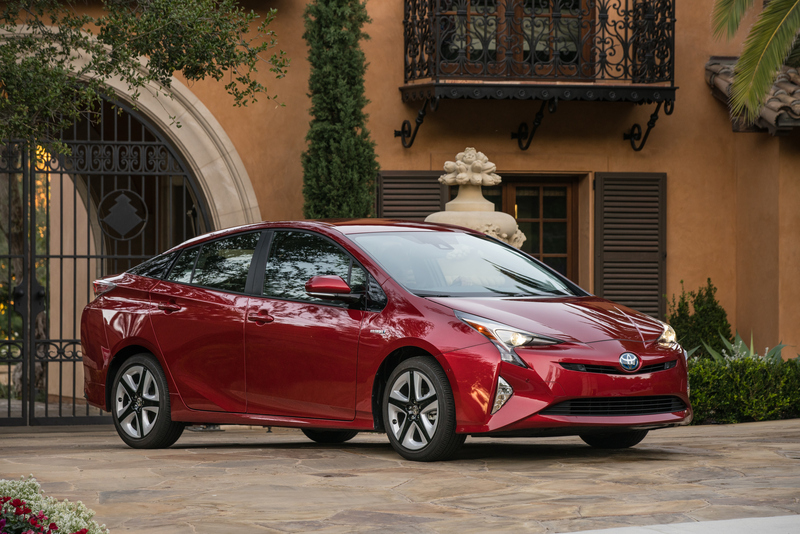 Notably for the Prius, it scored a Good+ rating for LATCH ease of use, and Acceptable headlights rating. It scored Superior in IIHS front crash prevention and an overall 5-Star NHTSA rating. 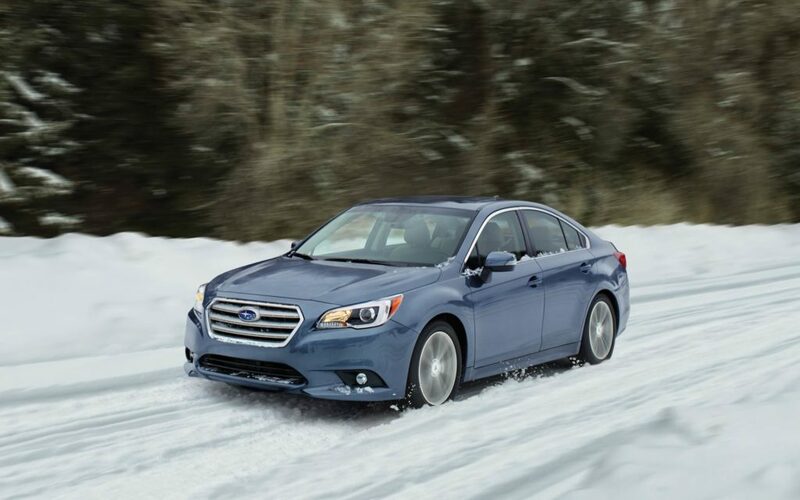 Scoring perfect 5-Star ratings in all NHTSA crash tests and an overall 5-Star NHSTA rating is the 2017 Subaru Legacy. With standard rearview camera and available EyeSight crash prevention system, the Legacy scored a Superior IIHS front crash prevention rating and took home IIHS Top Safety Pick+ honors as well. Available features include blind-spot detection, rear cross-traffic alert, reverse automatic braking, and Siri Eyes Free that allows you to take calls or text with your voice and make music selections without taking your hands off the wheel or sights off the road. A fuel-efficient AWD and starting price of just over $21,000 makes this a sedan with a lot to offer for a heck of a price. It also happens to be one of the few to score a Good IIHS headlights rating for 2017. If you’re looking for room and quick acceleration, the 2017 Volkswagen Passat comes with both. It also continues the proven, safe design. Volkswagen’s safety-centric Passat comes standard with rearview camera and crash prevention system with automatic emergency braking. Available features include blind sort warning and accident avoidance, rear cross-traffic alert, and LED headlights, taillights, and fog lights. The optional Car-Net system includes automatic crash notification, roadside assistance, and geofencing that allows parents to set restrictions for teenage drivers, and nice feature when the kids borrow the car. 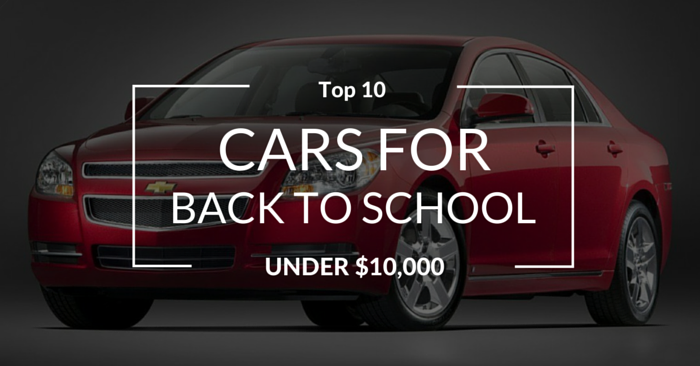 It netted an overall 5-Star NHTSA safety rating and IIHS Top Safety Pick+ honors. 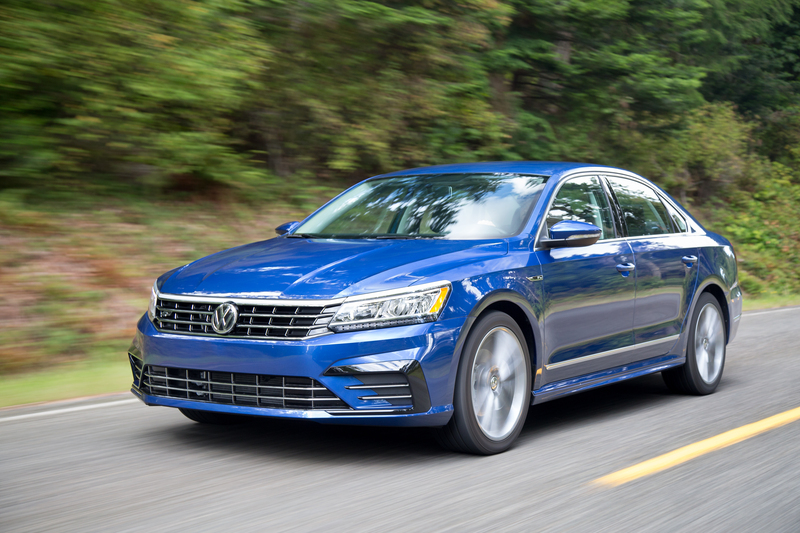 The Passat has not undergone a refresh since 2012, and is about due for some more upgrades, meaning future models could raise the Advanced IIHS front crash prevention rating. It also scored a Good IIHS headlights rating for driving after dark, and an Acceptable IIHS LATCH ease of use rating. Think another vehicle that should have made the list? Let us know in the comments!